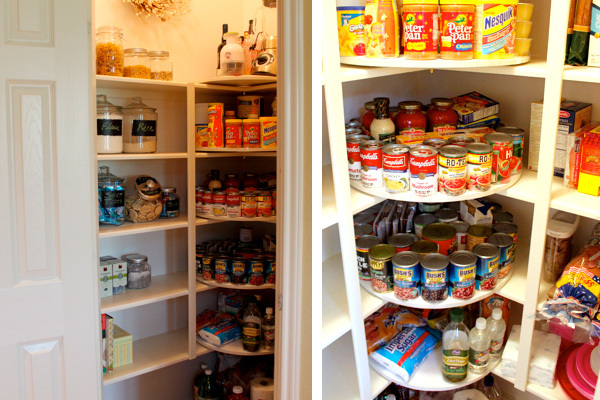 It’s a brand-new year — and a great time to reinvent your pantry. 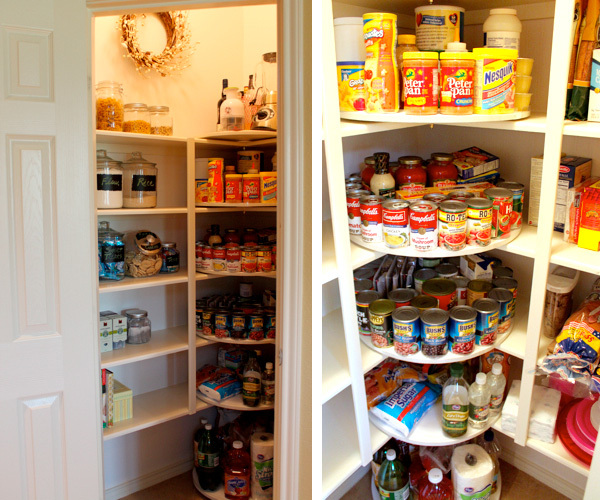 Every Thursday this month, we’ll feature an awesome DIY pantry makeover to inspire your own transformation. At the end of January, vote for your favorite at HouseLogic! 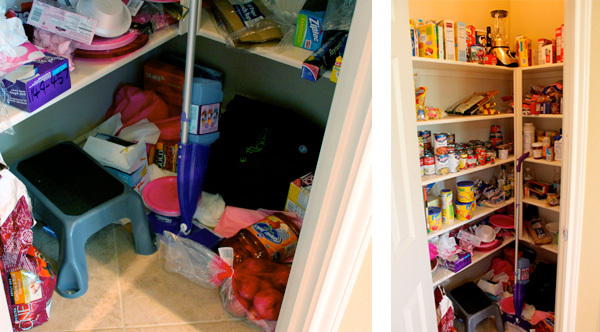 The second in our 4-part pantry series spotlights Decorchick’s inspiring remodel, which features 6 lazy-Susan “carousels” that transformed her food closet from frenzied to fantastic. 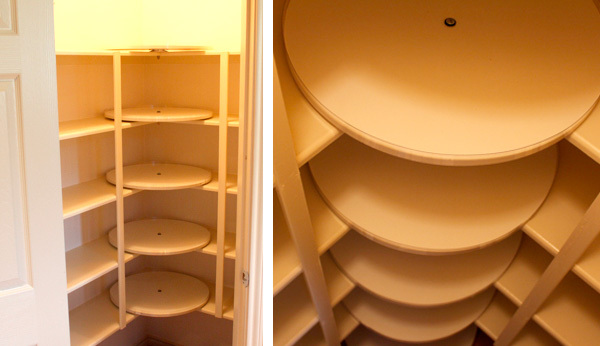 Spruced up the way-high space under the pantry’s 9-ft. ceiling with a cheery wreath she bought at a resale shop. So why not?